Eschew the tourist crowds and head to Tioga Rd and Mono Lake Tufa State Natural Reserve. 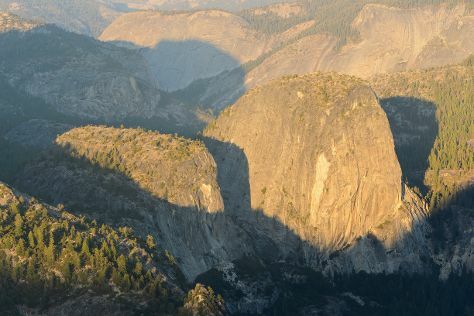 Next up on the itinerary: explore the striking landscape at Glacier Point, hike along Nevada Falls Loop, and stroll through Tuolumne Meadows. For maps, where to stay, photos, and other tourist information, go to the Yosemite National Park attractions app . Los Angeles to Yosemite National Park is an approximately 4.5-hour combination of flight and car. You can also drive; or do a combination of flight and bus. Traveling from Los Angeles in June, expect a bit cooler with lows of 43°F in Yosemite National Park. Finish your sightseeing early on the 19th (Wed) to allow enough time to drive to Las Vegas. 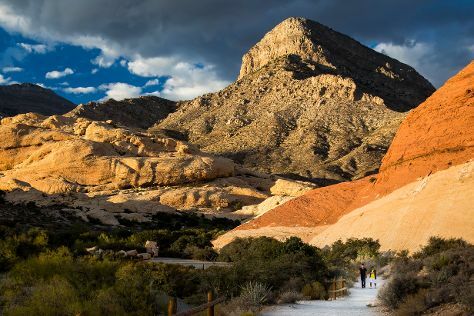 Start off your visit on the 20th (Thu): explore the stunning scenery at Red Rock Canyon National Conservation Area, have some family-friendly fun at Dig This, and then ponder the design of Bellagio Fountains. Get ready for a full day of sightseeing on the next day: zoom along the surf with a waterskiing or jet-skiing adventure. For where to stay, traveler tips, maps, and more tourist information, you can read our Las Vegas trip planning site . You can drive from Yosemite National Park to Las Vegas in 9 hours. Plan for much hotter temperatures traveling from Yosemite National Park in June, with highs in Las Vegas at 103°F and lows at 77°F. Wrap up your sightseeing on the 21st (Fri) early enough to drive to Laughlin. Laughlin is an unincorporated town and census-designated place in Clark County, Nevada, United States, and a port located on the Colorado River. Kick off your visit on the 22nd (Sat): examine the collection at Don Laughlin's Classic Car Collection, hike along Christmas Tree Pass, and then explore the stunning scenery at Grapevine Canyon. To see traveler tips, where to stay, maps, and more tourist information, go to the Laughlin online trip itinerary maker . You can drive from Las Vegas to Laughlin in 2.5 hours. Alternatively, you can take a bus. Due to the time zone difference, you'll lose 1 hour traveling from Las Vegas to Laughlin. In June, daytime highs in Laughlin are 107°F, while nighttime lows are 80°F. Wrap up your sightseeing on the 22nd (Sat) to allow time to drive back home.